It’s an exciting time for the enchanting gardens at Botanica Wichita as new features are blossoming as the attraction reaches full bloom. 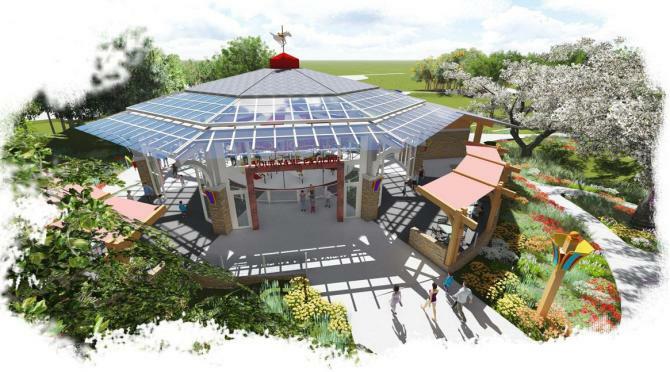 With the opening of several impressive elements, Botanica is going to be getting a lot of buzz this spring with its new Alexander Bee House, Sean Kenney&apos;s Nature Connects: Art Made with LEGO Bricks and the upcoming Botanica Carousel Gardens. 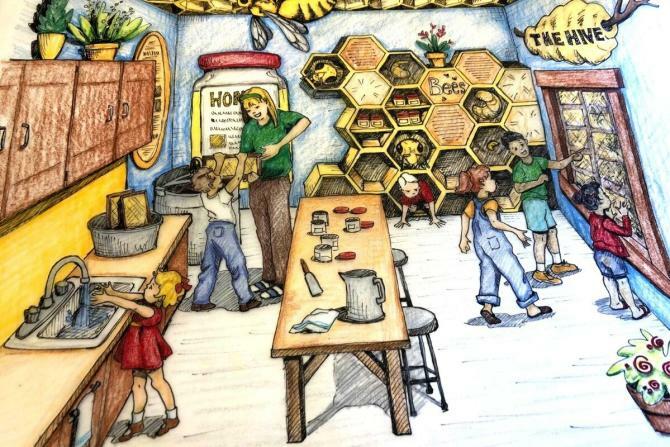 Learn all about the honeybee with this interactive Alexander Bee House that will educate guests on the importance of these insects. From how to protect them, which plants bees love to pollinate and watching professional beekeepers extract honey from the hive, there are tons of educational opportunities in this new, permanent exhibit. The Alexander Bee House is set to open this spring and will be open year-round with demonstrations during the honey harvest season, late summer to early fall. LEGO fans will go crazy over this innovative, new exhibit coming to Botanica this summer that includes unique art from Sean Kenney. From May 10-Sept. 19, Botanica visitors will get to experience breathtaking sculptures throughout the gardens. “It’s going to be a great draw for us that goes beyond our normal attendance and there will be special events centered around that,” Executive Director Marty Miller said. This art installation project is going to bring butterflies, dragonflies, bunnies, and frogs, even a 61,000-piece bison sculpture! 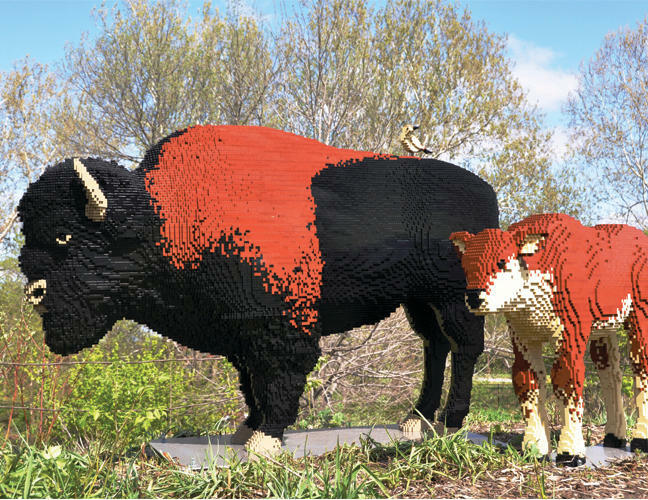 Every piece of the exhibition is made from LEGO pieces and will be placed in various locations around Botanica for visitors to enjoy. Perhaps one of the most-anticipated features coming to Botanica will be officially open in the fall and is on-track to be completed this summer. The Botanica Carousel Gardens brings part of Wichita’s past to the future as one of the only remaining 1949 Allan Herschell 40-ft., 36-horse, 2-chariot carousels. This carousel, which has all its original horses, has been restored at the hands of a single artist, Marlene Irvin. The carousel sat at Wichita’s theme park, Joyland for 59 years. Joyland closed in 2004. The pavilion will be mostly made of glass so patrons will be able to see the carousel inside as they approach the gardens. Miller says the carousel will looks like a jewel in a jewel box when the project is complete. The trains are running again at the Gene E. Spear Railroad Garden. 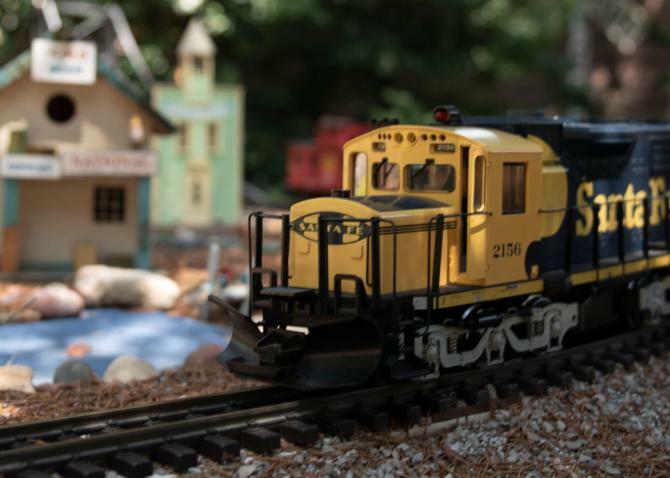 These passenger trains, freight trains and work trains are open March through September and during Illuminations at Botanica Wichita. As you make your way through the gardens this spring, keep a watchful eye out for the tulip garden touting more than 65,000 tulips all in full bloom. Remember, April showers bring May flowers – so make sure you stop by and experience the beauty of this garden. At the end of May, you are invited to fly into summer as Botanica celebrates the opening of its Butterfly House. The Butterfly/Pansy House will be open the end of May through September, and will house up to 50 species of butterflies and exotic plants. In the fall, the Butterfly House turns into the Pansy House and thousands of pansies in 40 different varieties begin to bloom. Botanica Wichita has more than 30 gardens filled with unique features for guests to enjoy. Don’t forget to check out the Downing Children’s Garden and Chinese Garden of Friendship. 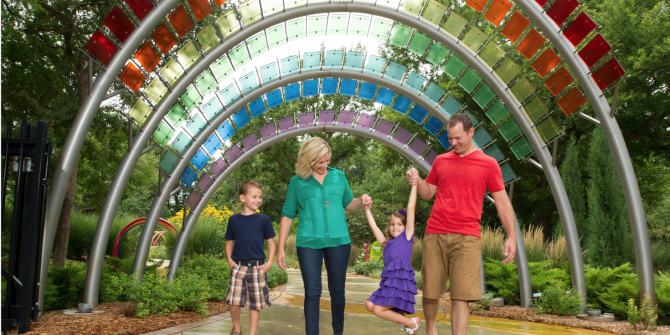 Botanica is one of Wichita’s many museums offering learning experiences for all ages.